This year has to be said to be the year of female performances with some brilliant actresses taking the lead in some fantastic films. 2014 has seen a wide range of films from romantic love stories to sci- fi blockbusters and the actresses have taken a lead on them. BizAsia with great difficulty, have narrowed the list down to five great performances of 2014. Doing a biographical film is no mean feat and doing a biographical film of a person who is still living takes great guts. Directed by Sanjay Leela Bhansali, ��Mary Kom�۪ tells the story of five times world boxing champion Mary Kom and her determination to get to the top of her profession despite others doubting her talent. 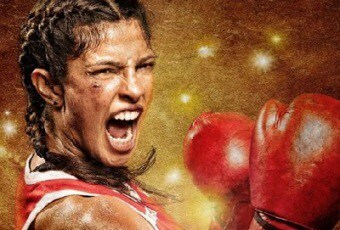 Priyanka Chopra took the role to heart and prepared extensively for it, training with Mary Kom�۪s actual trainers for three months before shooting the film to perfect her boxing style. Chopra played the role with great humility and honesty and though the film did not take over the box office, it was one to be remembered as far as Chopra�۪s mesmerising performances go. Being a film family child, Alia Bhatt had a great start in Bollywood being launched by Karan Johar in ��Student of the Year�۪. However her acting prowess has not been remarked upon, not until she took on this challenging role of Veera in ��Highway�۪. Veera is from a middle class family who is kidnapped before her wedding day by Mahabir played by Randeep Hooda. He sets off a journey with her through Delhi, Rajasthan and Punjab and Veera develops Stockholm syndrome and falls in love with him. Bhatt proved her worth in this film with some fantastic gritty acting, making some scenes even uncomfortable for the audience to watch. She has done a great job in this role and really has made a difference to her standing in the industry. Rani Mukerji makes our list for her film ��Mardaani�۪. She returned back to the big screen as a hard headed police officer who finds herself involved in one of the biggest human trafficking cases in India. Mukerji showed just why she is a brilliant actress and without a shred of glamour, she played the role effortlessly. After her astounding performance in ��Goliyon Ki Raasleela Ram-Leela�۪ last year, the audience were eager to see what Deepika Padukone had up her sleeve for her upcoming release. This year, Padukone took on a light hearted route but still outshone her co-stars in both her releases. In ��Finding Fanny�۪, Padukone played Angie, a young widower who befriends Ferdie (Nasruddin Shah) who is yearning for his long lost love Fanny. In ��Happy New Year�۪, Padukone played Mohini Joshi, a Marathi dancer who is employed by Charlie (Shah Rukh Khan) to teach them how to dance to pull of the biggest heist of all time. Though neither performances gained the actress awards, she was brilliant in both films playing light hearted roles with all star casts. Anushka Sharma has taken quite a break from the industry and returns in ��PK�۪. Though this film was all about Aamir Khan�۪s character, Sharma shone as journalist Jaggu who befriends Khan�۪s character in the film. Her look for this film was different to what the audience has seen her as in her previous films. She played the role with finesse and showed the audience that though she has not been on screen, she still holds great acting prowess. Special mentions have to go to Parineeti Chopra has always been touted as one to watch in the industry and this year has been no different for the actress. In ��Daawat E Ishq�۪, Ms Chopra played Gulrez Qadir, a Hyderabadi sales associate who dreams of travelling the world and finding her prince charming. Unfortunately dowry culture is rife in Hyderabad and Gulrez decides to take revenge on dowry seeking families. ��Hasee Toh Phasee�۪ didn�۪t do so well at the box office but her acting as Meeta, an intelligent chemical engineer who has unusual habits and behaviours. Chopra took on the strange quirks of the character with great enthusiasm and was a pleasure to watch on screen. Kangana Ranaut is a chameleon when it comes to acting roles and in ��Queen�۪, she didn�۪t do any different. As timid Rani, she plays the unconventional character beautifully and she is a pleasure to watch on screen. Shraddha Kapoor is also worth a special mention for her role in ��Haider�۪ supporting Shahid Kapoor as journalist Arshia who helps Haider search for this father. This year has seen some great performances by the female actresses in Bollywood, gaining even greater popularity than their male counterparts. We look forward to seeing what the actresses have in store for next year.